That is what she thinks… What gall!! Well, pleased to see it cost her $3000. You’re assuming she paid. Don’t be surprised if she didn’t as an experienced repeater like mrs soper is likely to have either been encouraged or approved to make such a comment. Ratings are the holy grail of radio……it drives ad revenue which is keenly fought for between ranting messaging duopolies mediwonks and nzme. He who has the most red necks to flog to wins. I tend to agree with this from Mike. “We go to Turkey and say our prayers, perform our haka and sing our song and we are welcomed by people in a predominantly Muslim country,” he said. So sick to threaten violence. We have some very dangerous people in this country. I hope we find out who they are so they can be helped. Found this bit of history I didn’t know. And having these words on a memorial at ANZAC cove. So moving to see on that shore. I thought we went to fight the Turks. Their religion was immaterial. It was Empire against Empire. They welcomed our dead to remain with honour. Pity some can’t see that, and acknowledge in turn Turkish generosity to us. Thank you for posting those words mac1. All this talk about guns and stuff is distracting from the need to impose the education hubs on the reactionary burgeoius principal and BOT class and return control of schools and education back to the civil service. Education must be de commodified. Are you going to make a submission too Millsy? Thanks Grey for the link. Bugger that submissions have closed. Have just written a comment below about rubbish tip and refer to the fact that it is a constant struggle to keep up with trying to hold onto and save or review and improve things here in NZ. It’s a full time job trying to hold the line and say You bu…s shall not pass. We need some brave committed wizards like Gandalf, Radagast, and Saruman to stand with us and for us. That’s right – our wizard. 1 size fits all, eh Millsy ?? No, it’s called GIVING SCHOOLS ADDITIONAL SUPPORT. The Hubs will also bring descision making about education to a more local level, instead of having ministers close down schools because they are ‘failing’. In fact, there will be no more school closures as the hubs will help schools. john key on the ‘gun city’ website ‘brag page’…. awkward…. Not sure about “awkward” – ‘honest’ John looks pretty comfy flanked by all that blond hair. Is there something wrong with my screen or are his hands twitching? Completely unsurprising about key. Wonder when it was taken. Heredotus – do you support privatisation of education? Spose this is going to happen more and more now. Not good and bound to be worse stuff going into the sea I’d say. “Rubbish from an old exposed landfill in the Fox River has now spread about 300km along the West Coast. Well! I bet Iprent will be pleased. “Bankrupt blogger Cameron Slater faces being drawn into a fresh police inquiry into complaints over the investigation of a brutal 2014 home invasion attack on his defamation foe Matthew Blomfield. Appalling story. That officer should be facing a court hearing for attempting to pervert the course of justice. Isn’t that, on the face of it, begging for an explanation. Surely there is no political interference to cloud the case against Slater? No. Not in NZ. Look at the treatment cam got over this site breach he claimed to have done. Nationals police have been consistent with these tools of the right. What a frightful time it is for right wing people at the moment. They have no leadership and are currently being represented by Brian Tamaki, David Tipple, Fraser Anning, James Casson and David Seymour. What a nest of vipers! Well, Muttonbird some of those right wing people (or their predecessors) spent years harassing, intimidating and indulging in unlawful acts against left-wing people, so I guess it’s time for the boot to be fitted onto the other foot. Yep they just are getting it wrong time after time. The fact they have no leadership is really making them disorganized and fearful. Not good qualities when we need them to buckle up and get these changes bedded in. And that’s just the politicians – the rest of them are really showing sides of themselves I suspect they’d rather stay hidden. I read Brian Tamaki was criticising the PM for her response to Christchurch. That such a widely hated unhinged creep is in David Seymour’s camp in backing bogan gun nuts is surely proof that JA has the support of the sane bits of the country. I am impressed that both Singapore and Australia are taking strong new legislative approaches to regulating speech in the internet. In Australia’s case, the new law was in part strengthened and accelerated because of the Christchurch massacre. 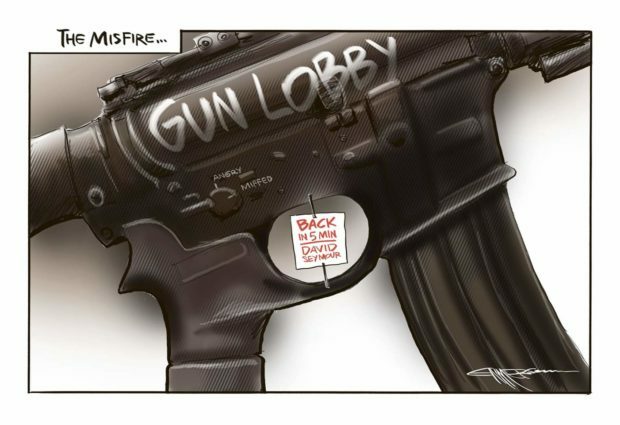 It will be a piss-poor outcome for New Zealand if the sum total of reform that we get out of the massacre is gun law something like what Australia has had for decades. We should look to regulate the internet in New Zealand. We should expect at least as much for New Zealand as the weakest Liberal government in Australian history has delivered in its final active moment. I’d expect that adopting Liberal governments of Australia as a role model would be avoided by NZ governments to the extent possible. 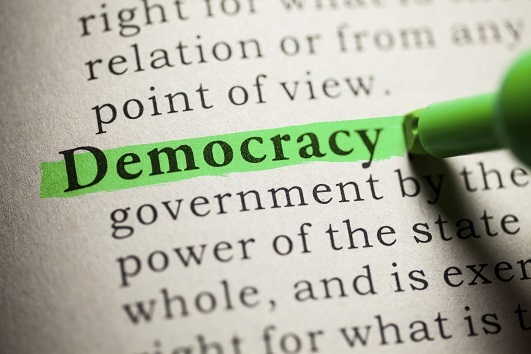 Regulating the Internet and restricting freedom of expression is for authoritarian nationalist semi-democracies and outright dictatorships, not actual democracies. It’s no surprise a place like Singapore would do it – slightly more surprising that Australia would, but then its “Liberal” Party is the most wildly mis-named party on the planet. We have plenty of restrictions on the press already. Regulation is the core of civilized society. Even Zuckerberg wants strong regulation of social media. The live-streaming of the madman’s video was actively promulgated to extremists around the world. Neither the NZHerald nor TV news would dare – because they are regulated. This government needs to stop talking about it, and do it. totally agree Ad – lets do this! It’s a reference to classical liberalism, laissez-faire economics etc so not so wildly mis-named. Couple of Auckland criminal lawyers look to increase their profile. No doubt the ‘hardworking NZ taxpayer’ will be funding this grotesque form of self-promotion. Send the bill to Australia. He gets legal representation. Period. If the trial is not conducted correctly there will be consequences … worst case he could walk free. If you want some other system, just say so. If they’re smart they’ll get him to plea guilty and make this quick. Good lawyers convince clients the odds and evidence make this a lay down for the crown, don’t make it any tougher by pleading not guilty. Otherwise it could be perceived as a pr stunt so watch that space. So reported in Newsroom I think.